Sand slippery spots on your driveway and sidewalks and use eco-friendly ice melting products on icy spots. Use this time to think over last year and summarize your thoughts after the holidays. Suggest to your friends some of the gardening tools you might want as a gift this holiday season! Decorate the interior of your home for the holidays. 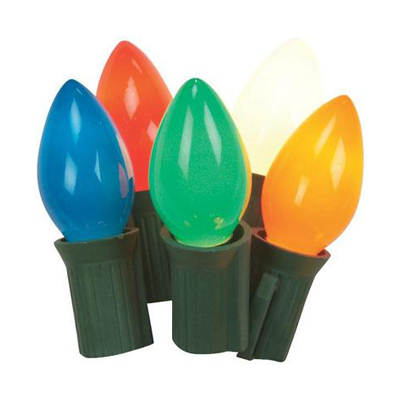 Unpack your lights, ornaments, and decorations. Find your Christmas tree stand and any over-the-door wreath hangers you use. If you know anyone who has a home project, or a hardware related interest, you can find the “perfect gift” for that special someone at Woodstock Hardware. 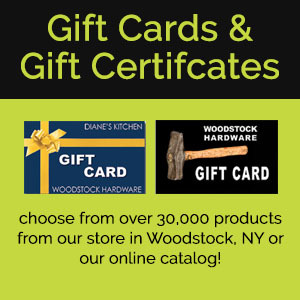 If you are having trouble deciding what to get them, get them a Woodstock Hardware Gift Card. Learn more about our Gift Certificate Service. If you need a gift for a novice, intermediate, or expert fisherman, stop by Woodstock Hardware’s fully stocked Fishing Tackle Shop. We offer a complete line of quality fishing products. Keep the exterior of your home safe for your family and friends. Keep the driveway and sidewalk free of snow. Sand slippery spots and use eco-friendly ice melting products to remove icy spots. 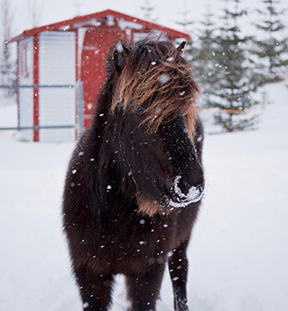 If you care for a large piece of property, own a small farm, or care for large animals, December can be a slow month. Use December to get organized and summarize your thoughts on the last year. You will have time after the holidays to prepare detailed plans. Let friends and family know what special garden item you would enjoy come the Holidays. You could “suggest” they consider giving you a Woodstock Hardware Gift Card!